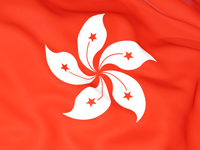 There are many reasons why you should choose to teach in Hong Kong. Hong Kong truly does have a charm of its own! I am currently looking for a highly skilled and experienced ? Teacher for the one of the best international schools in Hong Kong!! Substantial experince and excellent reference letters are plus too! This school has over 1,300 students from all over the countries in the world. Also well managed and highly regarded school for both teachers and students of all nationalities.